The KidCo Angle Mount Safeway is THE gate for situations where mounting points are not straight across from each other. Perfect for top of stairs when you need to mount one side on the wall and one side on a banister, but it can also be mounted in a hallway when the walls don’t line up. 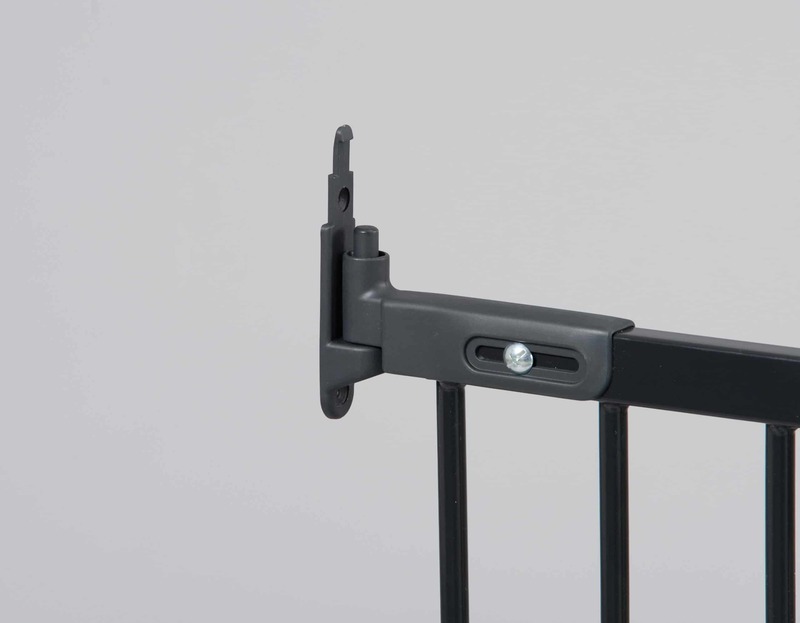 As a hardware mount gate, it provides maximum safety at the top of stairs and in high traffic doorways because there is no bottom threshold to potentially trip over as found on pressure mount gates. SKU: N/A. 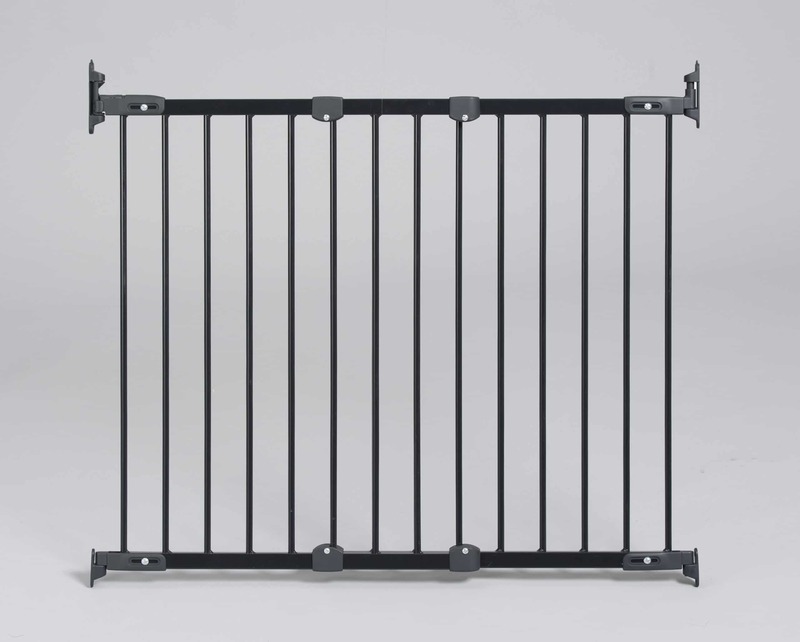 Category: Hardware Mount Gates. Tags: Baby Safety Gate, Stair Safety. At the top of our stairs we have an angled wall on wide side and a wood bannister opposite. I bought three other gates until I found the KidCo Safeway that is designed so it can be mounted on angles from either side. Whoever designed this must of owned a home like ours since other gates don't work for this kind of installation. It works flawlessly. Last night I installed this gate in my sons home. They have two angles at the top of the stairs and this specially designed hardware worked perfectly. Very sturdy and quite impressed how thought out the product is. I was having a hard time finding a gate that would fit in my stairway opening due to the angle. The Angle Mount Safeway was perfect for this space! It was easy to install and looks great! I have an angled stairway and had trouble finding a gate that would fit. The KidCo Angle Mount Safeway works perfectly for this type of installation! The unique wall brackets allowed me to place the gate at just the right angle. Great design!